Having slid down the pecking order in recent times, Rishabh Pant might have just pulled the selectors' attention back on himself, and has certainly made a case for himself for a longer rope in the Indian limited-overs squads. 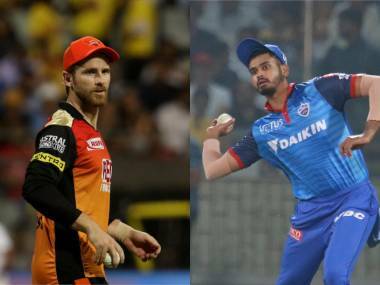 The clash between Delhi Daredevils and Sunrisers Hyderabad didn't quite deviate from the expected course, as the top-ranked team of the league battered the bottom-ranked side by a margin of nine wickets. The 2016 champions effectively became the first team to enter the playoffs, while the Daredevils are all but set to be the first side to bow out of the tournament after registering their eighth loss in 11 games. Another season goes by where Delhi disappoints its fans with under-par performances, and fall short of the playoffs for the sixth season running. 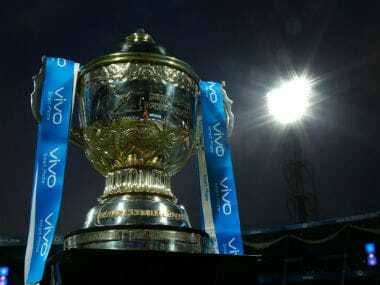 However, the disappointment for the Delhiites this year has been somewhat diluted with a few moments of joy, and it is the future Indian prospects in the team who are to be mainly thanked for bringing a smile to the faces of the residents of the National Capital, even if their performances haven't helped the team's cause on most occasions. Friday's fixture saw a product of Delhi cricket make the city proud with what has come to be described by many as the innings of this year's IPL. Rishab Pant had been chipping in with one useful knock after another throughout the course of the tournament, be it his blistering innings of 85 against Royal Challengers Bangalore (RCB) that eventually went in vain or the 69 that helped set up a winning total for Delhi against the Rajasthan Royals. He hadn't quite delivered the innings that would leave teammates and rivals applauding as well as commentators and fans with their jaws hanging. Until Friday that is. Coming in to bat at a time when Shakib Al Hasan had done the early damage by dismissing both openers off successive deliveries, the wicketkeeper-batsman couldn't quite get going initially. 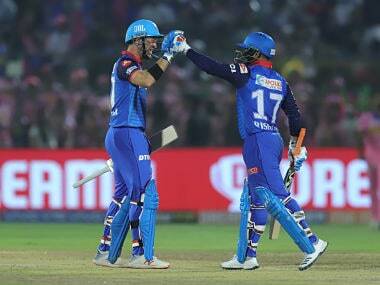 At the halfway stage of their innings, Delhi were progressing at a little in excess of five-an-over. Delhi needed a massive surge in their scoring rate, and Pant did not help their cause when he got involved in two run-outs, with his partners Shreyas Iyer and Harshal Patel having to trudge back to the pavilion. As if he had been watching a lot of Rohit Sharma's centuries, the two run-outs seem to have inspired him to bring out the best in him. The second half of the Delhi innings was a one-man show all along. Pant, who was batting on 24 off 23 balls at the end of the 10th over, suddenly decided to switch gears, starting with three boundaries off Rashid's second over, sweeping towards either side of the wicket, setting the tone for the remainder of the evening. The biggest takeaway from the evening, however, would be his vicious assault on Bhuvneshwar Kumar in the final over. The bowler who bowled a brilliant last over in the home game against Royal Challengers Bangalore in their previous outing, started off well by dismissing Glenn Maxwell off the first delivery. 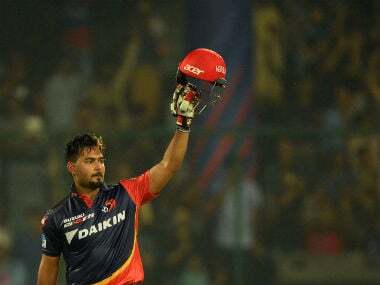 What followed, however, was sheer genius on display, as Pant showed the kind of innovation that he can bring at this level, opening the face of his bat and going for back-to-back reverse scoops over third man off full deliveries well outside off. Bhuvneshwar tried pulling his length back while bowling to his body off the penultimate delivery, which was met with a well-timed hook that sent the ball flying over fine-leg for a six. Pant managed to put the bowler under tremendous pressure thereafter, with Bhuvneshwar missing his length while attempting a yorker, and getting a full-toss converted into a six. 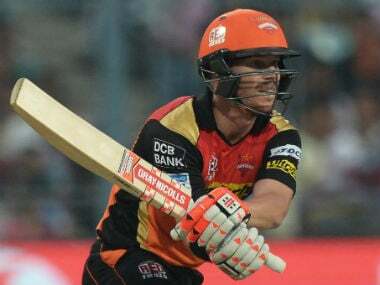 As many as 26 runs had been collected off the final over, with Pant literally toying around with the Sunrisers attack. According to the statistics, Pant collected as many as 70 runs off Bhuvneshwar and Rashid alone. However, Pant's efforts only helped Delhi post a competitive total on the board, and the hosts would've required a disciplined approach on the field as well as with the ball if they were to keep their campaign alive. That was not to be however, as the classy Kane Williamson and the flamboyant Shikhar Dhawan undid Pant's efforts and reduced a challenging chase into a walk in the park. Unlike Pant's second-half assault, Dhawan and Williamson's chase was a calculated one, gradually wearing the opposition bowlers down, taking the spring out of their step that came after Alex Hales' early dismissal. Once things were going their way, Dhawan, who had been having a mixed run with the bat and dealing with a number of blows all over his body, decided to play the aggressor, with Williamson happy to keep his shots grounded at the other end. The two eventually finished with an unbeaten partnership of 176, the highest of the ongoing season. With Delhi finding little luck with the ball, their body language eventually started to reflect their despair around the second timeout of the Sunrisers innings. "It's very harsh on us because the wicket was better in the chase because of dew but it happens in cricket," went Pant in an interview with Pommie Mbangwa after the conclusion of the match. One does feel for him, watching an innings of this magnitude only for it to end up on a losing cause. With the race to the playoffs now having one less competitor in its fold, Daredevils have nothing but pride and the smiles of its fans to play for. Their young bunch certainly has been exciting this season, and will certainly use the remaining games to continue showcasing their talent, hoping to bolster their chances of selection for the packed international calendar that lies ahead. 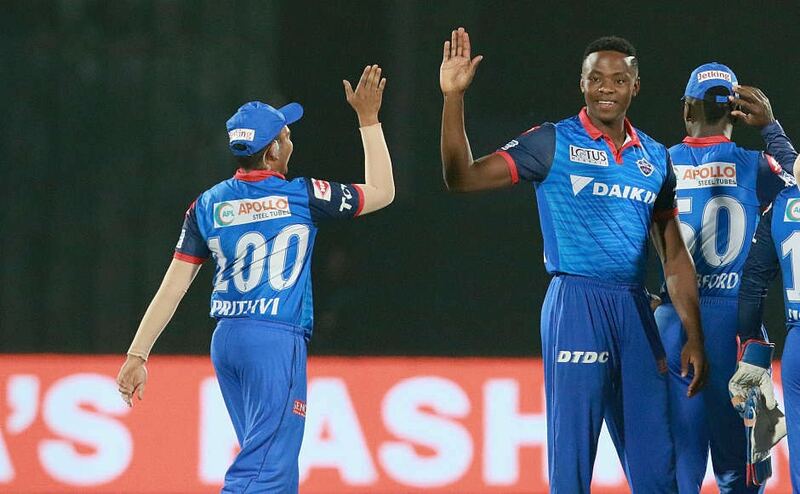 Delhi Daredevils have done a Delhi Daredevils in the 11th edition of the IPL as well, but can still end on a happy note by landing somewhere in the middle of the table, instead of finishing with a wooden spoon. Let's see if skipper Iyer can instill one last dose of confidence in his teammates for that to happen or not. From the individual perspective however, the 63-ball 128 might very well be the start of a new chapter in Pant's career. Having slid down the pecking order in recent times, the Delhi lad might have just pulled the selectors' attention back on himself, and has certainly made a case for himself for a longer rope in the Indian limited-overs squads.